After some basic concealer and foundation, Cavillo contoured me with the Techno Cumbia bronzer-blush duo to highlight my cheekbones. (If you couldn’t grab the now sold-out products, try a warm bronzer and a fleshy-pink blush.) On the eyes, she traced a thick line of Boot Black eyeliner, finishing with the tiniest flick. 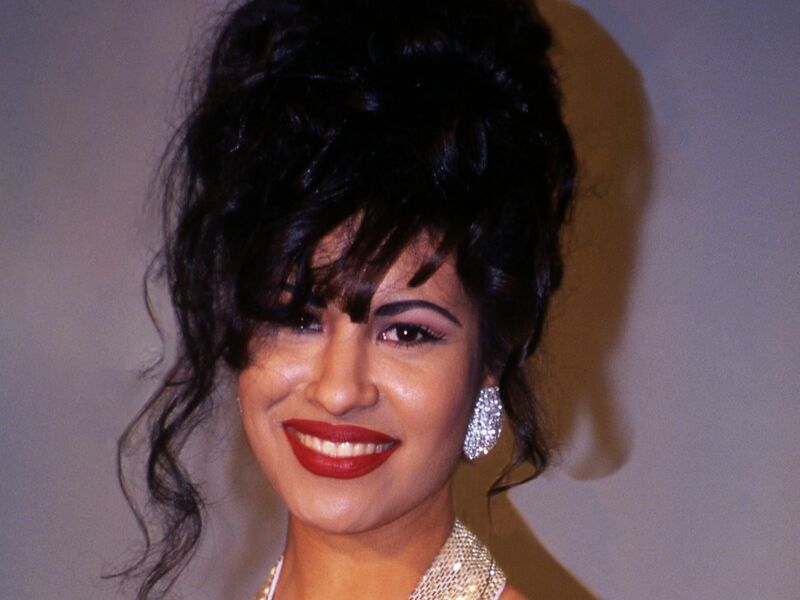 But the true tribute to Selena, of course, was the Dreaming of You deep-red lip, swept on after Cavillo first lined and filled my lips with a matching burgundy lipliner. The best part? The whole process turned out to be fast (30 minutes! ), painless, and something I’ll be able to recreate on my own, even after my Selena products inevitably run out — though I don’t even want to think about that. When I first met with Cavillo, I was expecting to get a few solid beauty tips, of course. What I wasn’t expecting was to feel so inspired to embrace (and deeply appreciate) my unique Latina features. The lip color was perfect for my full lips and the dark liner and big lashes really made my eyes pop. I don’t typically do both together when I do my own makeup: I’m more of a bold lip or bold eye kind of girl. But when I got back to my desk, my coworkers all fawned over how great I looked and told me I had no choice but to go out that night. While there’s no word yet on when the currently sold-out collection will be relaunching (though MAC promises us it will be “soon!”), you can watch the video, below, for a little inspiration using the products you do have. And who knows, maybe you’ll channel a little Selena magic in the process. Fall in love with your backside!